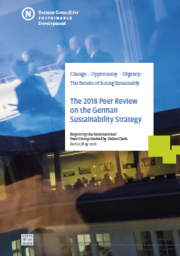 An international group of experts presents their assessment of sustainability policy in Germany at the German Council for Sustainable Development’s annual conference – and makes 11 recommendations regarding what needs to change. It is a day of taking stock. 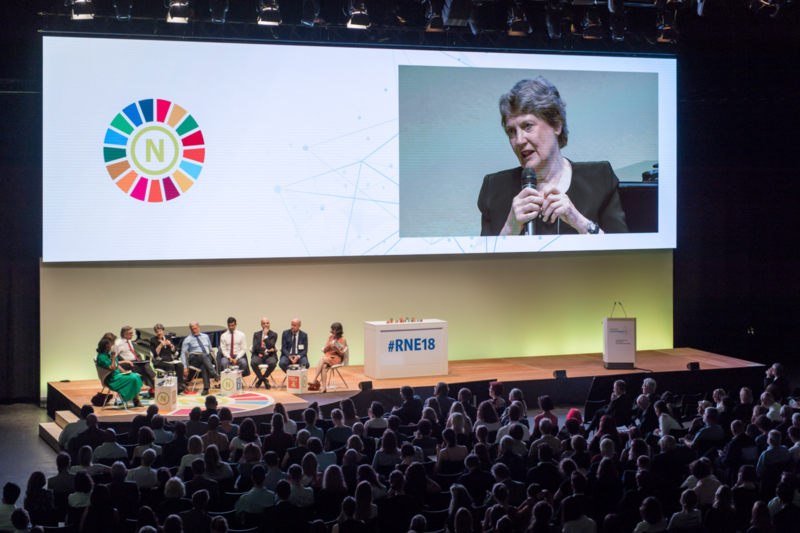 The German Council for Sustainable Development (RNE) invited interested parties to come to the Tempodrom in Berlin for its 18th annual conference which was attended by an audience of some 1,400 guests from Germany and abroad. 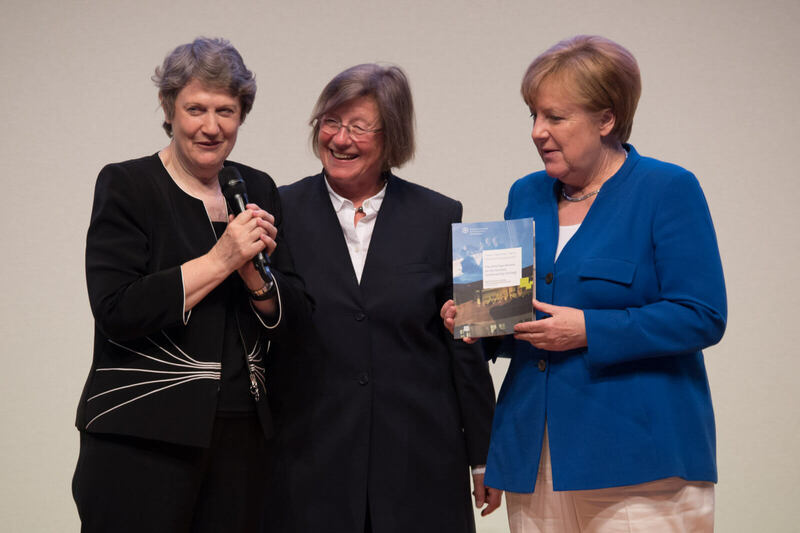 The key question being: where is German sustainable development policy at? 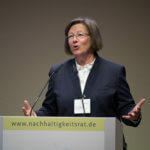 In her opening address, Marlehn Thieme, Chairwoman of the RNE, forgoes any suspense, saying: “Without wanting to fall into false exclamations of catastrophe, the answer is yes, we have great cause for concern.” If politics were to give up on its goal of reducing greenhouse gas emissions by 2020, for instance, she warned, it would endanger not only the climate but also democracy. It would signal that the political arena no longer believes in itself, which would in turn provide fuel for populist and right-wing movements. To put it another way: the world itself is at stake. 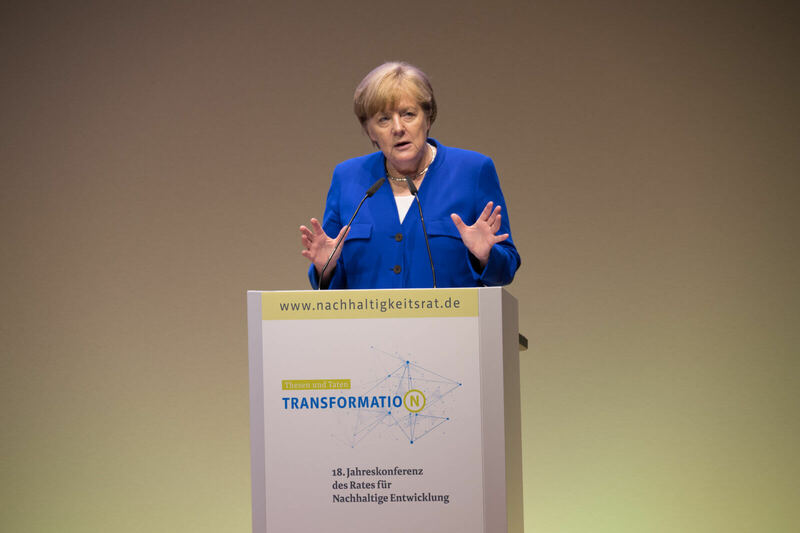 Thieme bases her statements on the results presented by an 11-person international expert commission that reviewed the German Sustainable Development Strategy in great detail over a period of around eight months. 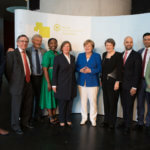 Facilitated by the RNE, the high-level commission met with stakeholders from throughout the German sustainable development policy arena, engaged in talks with some 100 representatives of politics, the business sector, civil society and academia and subsequently deliberated on conclusions and recommendations. Their work is summarised in a report that lays out where things are progressing well and where there is still work to be done. Biodiversity is disappearing, land consumption is decreasing too slowly and the carbon footprint in transportation, for instance, is stagnating. Moreover, health concerns related to obesity are growing and the fact that social disparity is widening further are criticisms also mentioned by Clark and the other Peers. Make the institutional architecture charged with implementing the GSDS more effective. 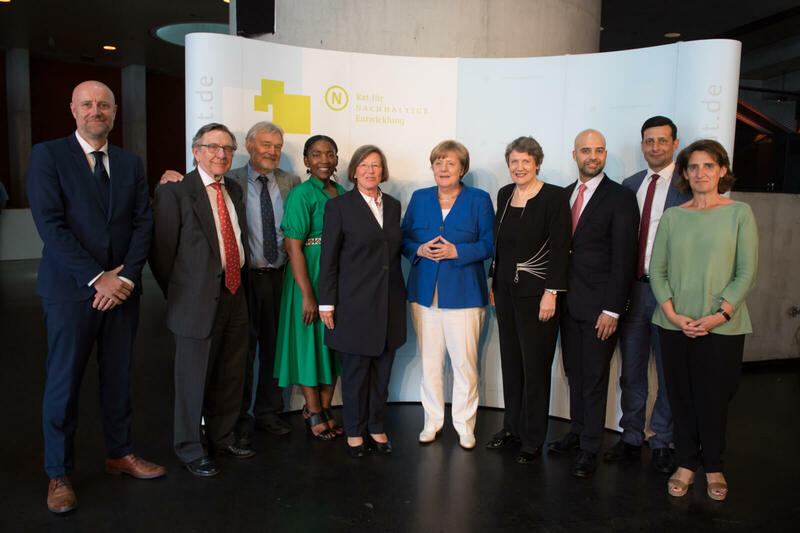 Peer Farooq Ullah, who is Co-Chair of the UK Stakeholders for Sustainable Development, commented in Berlin: “We must develop better pathways for implementation,” all ministries must take on responsibility, for instance by drafting action plans. Raise the level of ambition for what Germany can achieve. 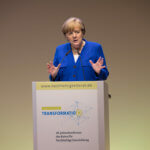 The experts encourage Germany to “phase out” fossil fuels and “reverse the trend on biodiversity losses”, for instance. Foster a more conducive enabling environment for Leaving No One Behind. 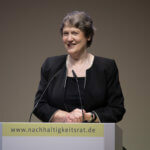 Even in Germany, migrants and the poor are excluded, commented Clark, and the dialogue surrounding sustainability is “often” solely concerned with ecological aspects. The Federal Government should provide an orientational framework that cultivates inclusion. The Federal Government should strengthen the executive’s central coordination capacities and address off-track indicators promptly. 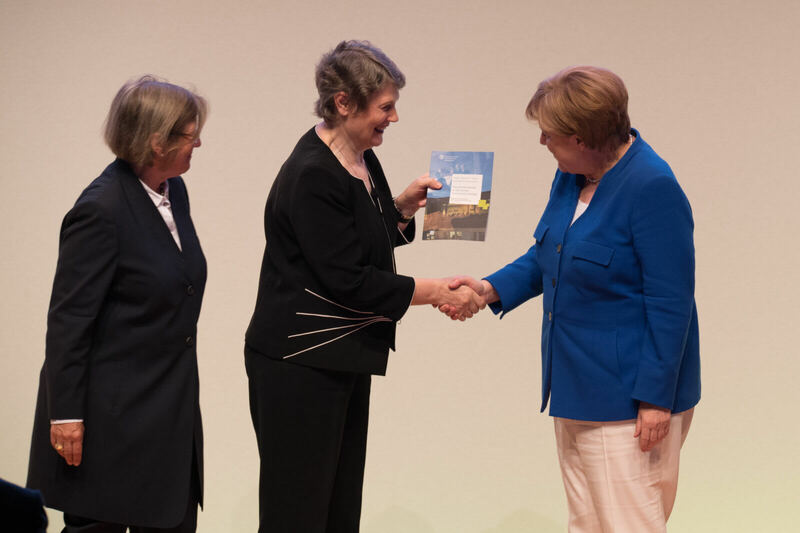 The Peers call for the State Secretaries’ Committee for Sustainable Development, chaired by the Chancellery’s Chief of Staff, to be “re-energised”, for example. Parliament: there needs to be more powerful parliamentary scrutiny. For instance, the Parliamentary Advisory Council on Sustainable Development should be made “more powerful”. 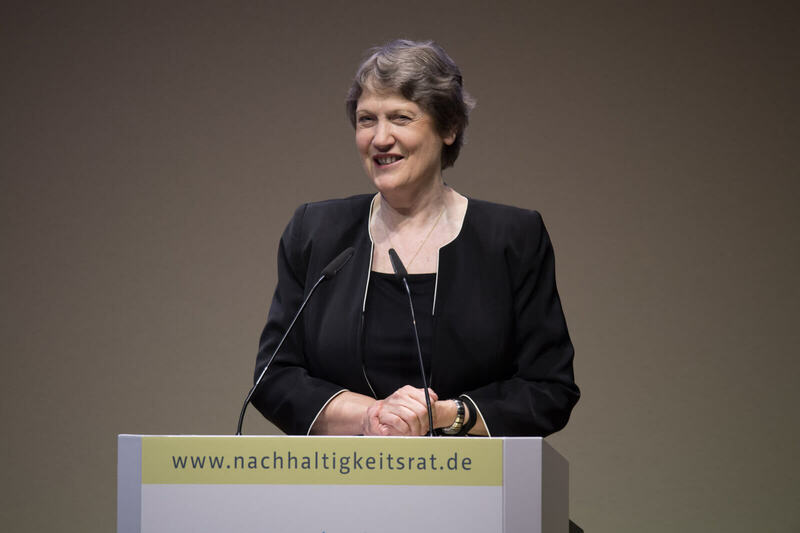 The Council for Sustainable Development’s independent role should be strengthened. The experts advise that the legal entity status of the RNE be evaluated. Revamp communications. Adolfo Ayuso-Audry, Director General in the Office of the Mexican Presidency responsible for implementation of the 2030 Agenda and one of the Peers, advocates for “creating greater awareness”. 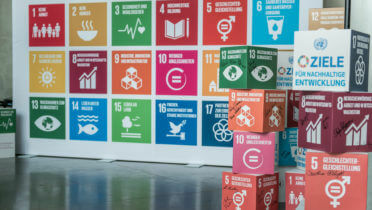 The Peers suggest “establish(ing) a budget line for communicating the GSDS (German Sustainable Development Strategy)”. Indicators: expand budgets for and activity on tracking progress. 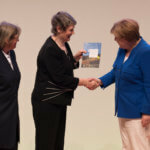 In the opinion of Peer Karl Falkenberg, former Special Adviser on Sustainable Development to the President of the European Commission, “Germany still thinks it is doing everything right, that we are leading the way.” However, for instance with regard to water quality and biodiversity this is not the case, he highlights. 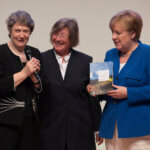 Deal with emerging issues and apply the principles of the GSDS to Germany’s global interactions. Peer Joost Oorthuizen, CEO of the Sustainable Trade Initiative, recommends to “look at your supply chains,” in particular at what impacts Germany’s trade patterns have around the world. But isn’t progress contradicted by one thing in particular, namely growth? – came the question from the audience. Germany definitely needs to discuss the issue of prioritising “value over volume”, responded Peer Jan Gustav Strandenaes. The Norwegian policy consultant previously worked with staff at the United Nations, among other things. Imme Scholz, Deputy Director of the German Development Institute (DIE), took the feedback from the experts on board as “encouragement”. 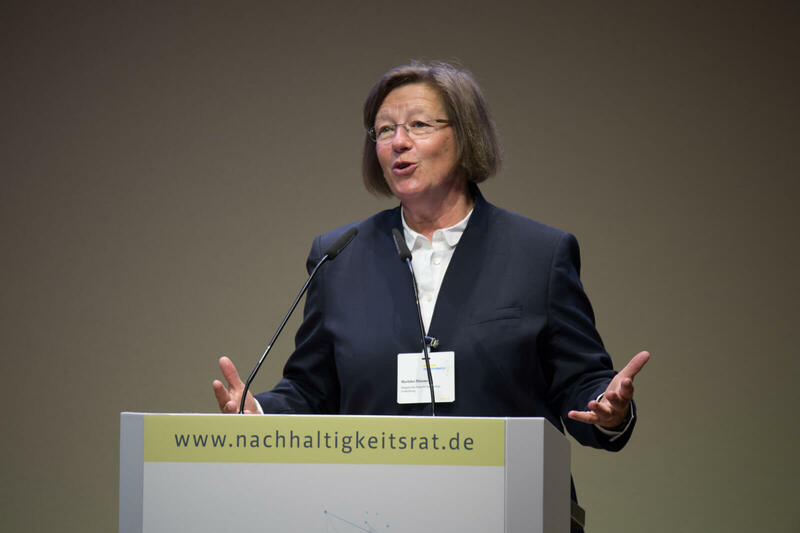 And RNE Chairwoman Thieme summed up that it was “time for decisions to be taken that might not please everyone,” directing her appeal to the Chancellor.